The Czech Republic is a small country in the very centre of Europe. The Czech Republic comprises three historical territorries – Bohemia in the west and Moravia and a part of Silesia in the east. In the southeastern part of Moravia, approximately 30 km from the border with the Slovak Republic, you can find the ancient town of Uherske Hradiste, the place of work of an extraordinary musical ensemble – the Hradistan Dulcimer Band. This band finds for its inspiration in traditional folk art. The Hradistan Dulcimer Band belongs to the oldest and most well-known Moravian dulcimer bands. The ensemble was formed together with a dance group in Uherske Hradiste in 1950. Since that time several generations of musicians, singers and dancers have gone through its personel, first under the long-time leadership of Jaroslav Stanek. His creative approach to folk material changed the understanding of its stage presentation as a series of songs and dances towards more elaborated artistic compositions. Since 1975 Jiri Pavlica has been the artistic director and the first violinist and the group has undergone gradual transformation under his directorship and demands on the members gradually increased. 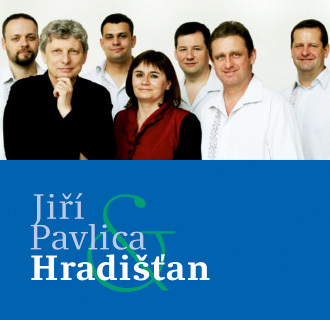 Together with continuous and independent work of the Hradistan dulcimer band the ensemble as a whole also started produsing thematic musically choreographic projects (There was the Battle of Austerlitz, Moravian outlaw songs…).Authorial projects of Jiri Pavlica and the choreographer and leader of the dance section Ladislava Kosikova have prevailed in the recent years ( About the Solstice, About a Man). The mean the most remarkable reflection of departure from the traditional approach to folklore and transition to more independent scenic interpretation. Folklore becomes a source of inspiration, while its philosophical nature is kept preserved. 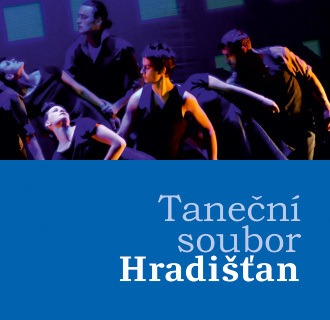 The methods of work, dramaturgy and artistic standart make Hradistan one of the most unique ensembles not only within their region. It is a regular guest of television programmes, national and international festivals of traditional, alternative, but also classical music, where it has gained numerous awards. The Hradistan dulcimer band has recorded more than 25 records and CDs itself and has cooperated on many others. Although concert performances (about 150 concerts a year) are the band¨s main activities, the joy of music is the basic sense.